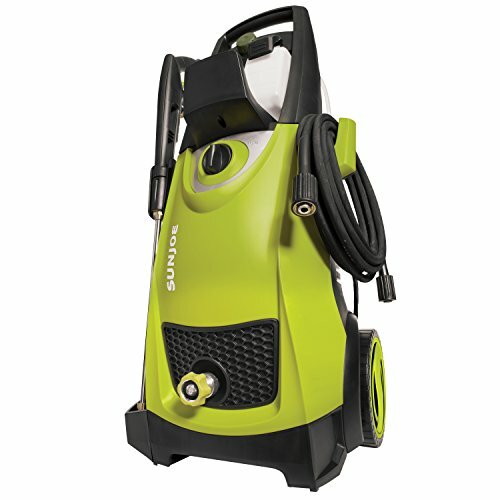 ​We have classified pressure washers into the 3 following categories. 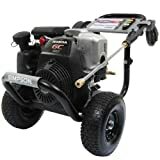 ​Here we shall help you decide on four variables before going deeper into individual buying guides for each category of pressure washer. PSI basically refers to the total water pressure created by your pressure washer. It can range from 1000 PSI to over 4000 PSI. We have classified pressure washers based on their PSI output into four classes namely light duty, medium duty, heavy duty and extra heavy duty pressure washers. Majority of commercial pressure washers or domestic washers are designed for light duty usage. They exert a maximum of 2000 PSI and are good for basic household tasks. ​Best For – Cars, trucks, furniture, sidewalks and driveways. ​Good With – Fences, decks, garage, stairs, floors, stain removal, siding. ​Bad With – Wall preparation for paint and second floor cleaning. High-end commercial pressure washers can produce medium grade PSI output and the majority of Semi-Pro pressure washers usually handle this kind of output with ease. The maximum pressure in this range is 3000 PSI and it starts from 2000 PSI. ​Best For – ​​Furniture, sidewalks, driveways, garage floor, fencing, decks, floors, stairs. ​Good With – ​Second Floor cleaning, stain removal, siding, cars and trucks. ​Bad With – ​Wall preparation for paint. Majority of high-end semi-pro pressure washers can easily produce around 3000 PSI but only a few manage to reach as far as 4000 PSI. A Professional pressure washer, however, should start from a PSI of 2500 and move above 4000 PSI. 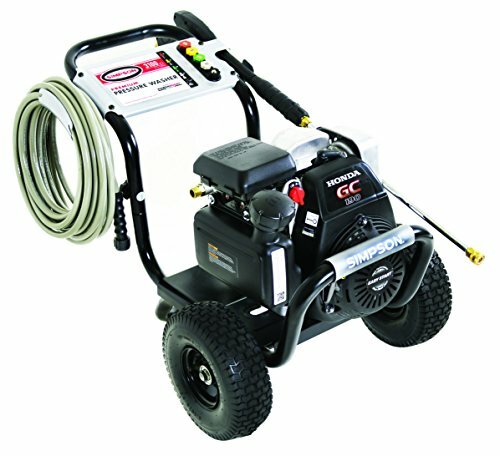 So, a proper heavy duty pressure washer can fall either under the high-end bracket of Semi-Pro or low-end side of professional pressure washers. The range is from 3000 PSI to 4000 PSI. ​Best For – ​Sidewalks, driveways, garage floor, fencing, patio, decks, floors, stairs. ​Good With – ​Patio Furniture and Paint preparation for walls. ​Bad With – ​Cars and trucks. All professional grade pressure washers produce over 4000 PSI and are excellent for heavy-duty industrial applications. They are usually gas variants and have plenty of raw power. The range starts from 4000 PSI and above. ​Best For – ​​Everything except Cars, Trucks and Patio Furniture. ​Bad With – ​​Cars and Trucks and Patio Furniture. Based on usage, one can divide pressure washers into personal use and business use equipment. Personal Use – These consist mainly of Commercial and Semi-Pro pressure washers. They have an optimum output in terms of PSI of around 2000 PSI and a GPM of around 1.2. These are great to have around the house for the most common applications. ​Business Use – Be it a storehouse, workshop, store or an office space, having a large pressure washer with a decent output is always beneficial. Semi-Pro and Professional pressure washers are best suited for business use since they have a high PSI rating and GPM with heavy duty motors, pumps and accessories. The key here for business application is durability and dependability. Business Use – Be it a storehouse, workshop, store or an office space, having a large pressure washer with a decent output is always beneficial. Semi-Pro and Professional pressure washers are best suited for business use since they have a high PSI rating and GPM with heavy duty motors, pumps and accessories. The key here for business application is durability and dependability. Gas powered pressure washers are excellent when it comes to outdoor applications. They may be noisy but the total power output is much higher than electric pressure washers. On the other hand, electric pressure washers are usually limited to Commercial and Semi-Pro models since they cannot produce the phenomenal power required to compress water over 4000 PSI. 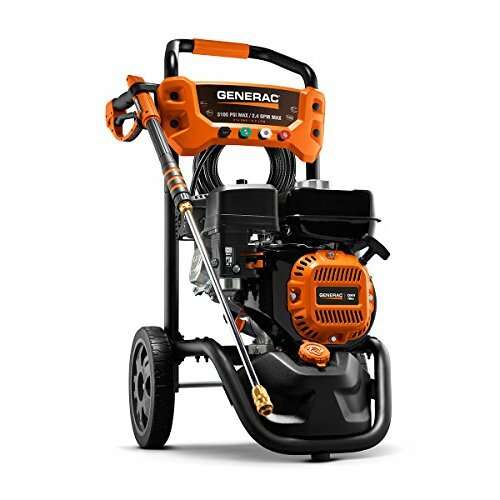 Basically, if you are searching for a compact pressure washer for domestic applications or personal use then you have plenty of choices in electric as well as gas models. For business applications of a regular nature, gas pressure washers are best suited. Almost all Commercial and Semi-Pro pressure washers are cold type units. They do not heat water and directly mix cleaning detergent with the water. On the other hand, Professional grade pressure washers can operate as a hot water washer as well as a cold water washer, based on the need of the hour.